Not available here in the US currently. Found one in stock in the Philippines during my recent trip. Sweet! I just got mine and I need some help. The back case got serial number that wrote 830k2k. Usually g-shock dont have this kind of serial number. Is this normal? Or I got a fake one? 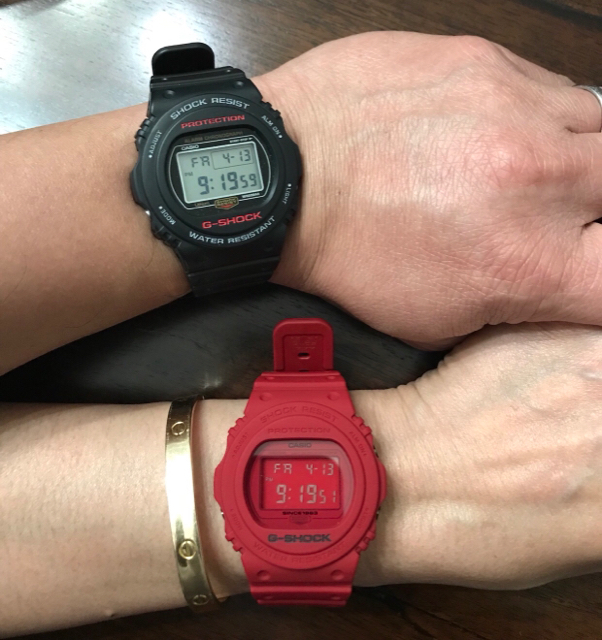 G-Shock is doing a surprise DW-5700 revival with the release of the DW-5750E-1 as well as the DW-5735C-4 from the 35th Anniversary Red Out Collection. The DW-5750E-1 is the standard model with a matte black surface, red logos, and a standard LCD display. 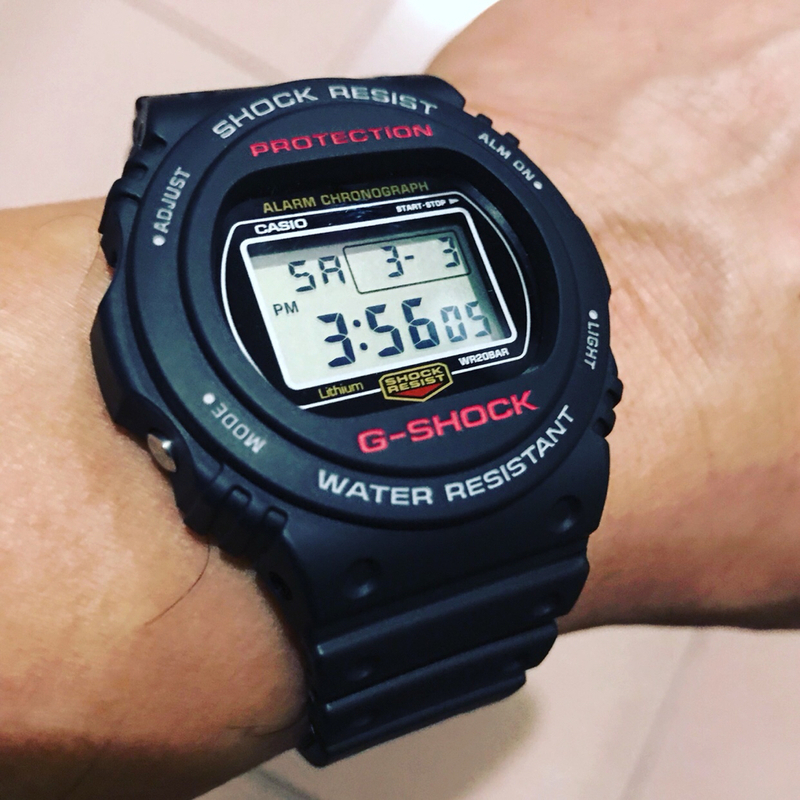 The DW-5750E-1B is a blacked-out stealth model with a reverse LCD display.